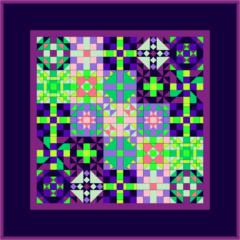 Learn more about the Awkward Hug quilt, our newest quilt pattern. 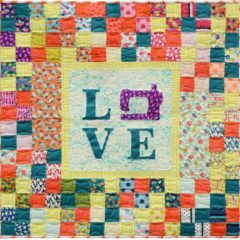 The Stitch TV Show Quilt Market 2018 Debut Programs! 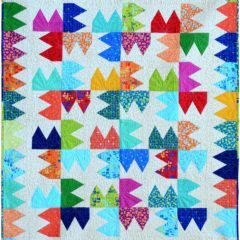 Check out the pattern and programs we’re debuting at Fall Quilt Market 2018 in Houston! 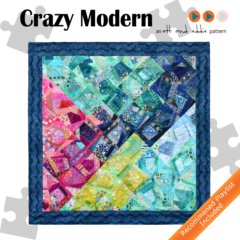 Explore crazy quilts with a modern interpretation using your favorite precut 5″ squares as a starter in our newest pattern, Crazy Modern! 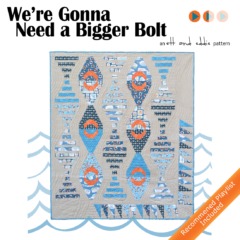 Just when you thought it was safe to go back in the sewing room, turns our You’re Gonna Need a Bigger Bolt for this quilt pattern. 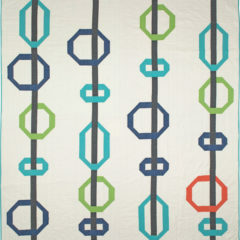 Check out the new one-block quilt pattern Into the Groove, perfect for Fat Eighth or Layer Cake precut assortment!